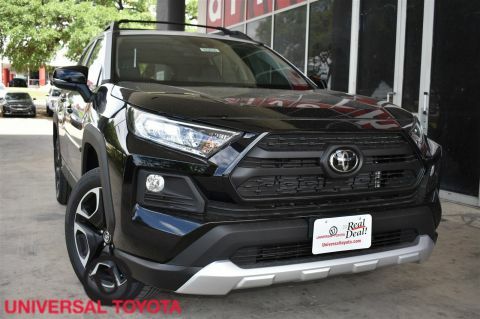 Wi-Fi Connect Mobile Hotspot Internet Access, Wheels: 19 x 7.5J Alloy, Variable Intermittent Wipers, Urethane Gear Shift Knob, Trunk/Hatch Auto-Latch, Trip Computer, Transmission: 8-Speed Automatic, Transmission w/Driver Selectable Mode, Sequential Shift Control and HD Oil Cooler, Toyota Safety Sense (TSS) 2.0 and Rear Cross-Traffic Alert (rcta), Towing Equipment -inc: Harness and Trailer Sway Control. 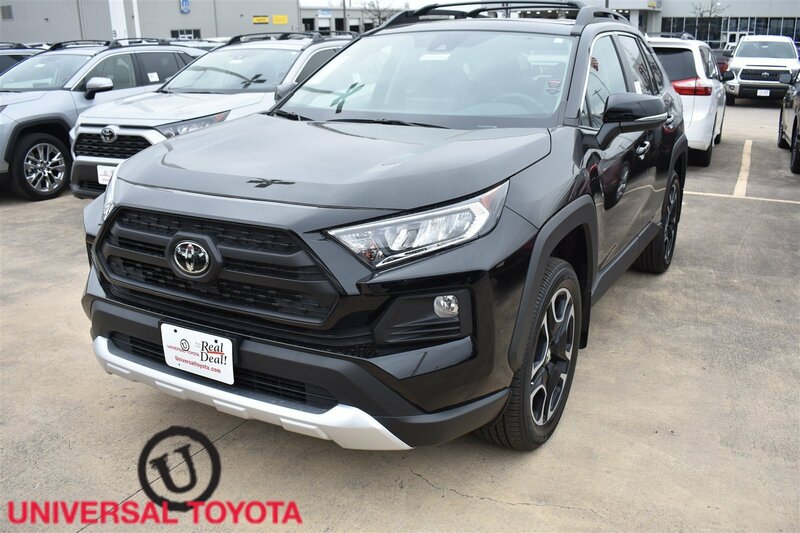 This Toyota RAV4 has a powerful Regular Unleaded I-4 2.5 L/152 engine powering this Automatic transmission. 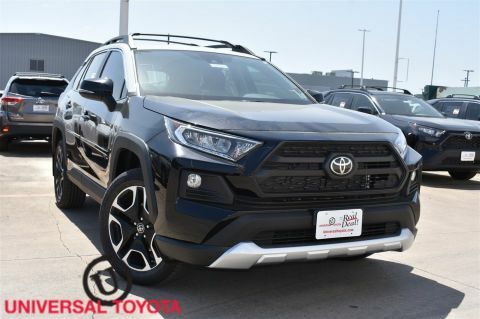 * Experience a Fully-Loaded Toyota RAV4 Adventure *Tires: P235/55R19, Tailgate/Rear Door Lock Included w/Power Door Locks, Systems Monitor, Strut Front Suspension w/Coil Springs, Steel Spare Wheel, SofTex Seat Trim, Single Stainless Steel Exhaust, Side Impact Beams, Seats w/Leatherette Back Material, Roof Rack Rails Only, Roll-Up Cargo Cover, Remote Releases -Inc: Power Cargo Access and Mechanical Fuel, Remote Keyless Entry w/Integrated Key Transmitter, Illuminated Entry, Illuminated Ignition Switch and Panic Button, Redundant Digital Speedometer, Rear Cupholder, Rear Child Safety Locks, Radio: Entune 3.0 Audio Plus -inc: 6 speakers, 8.0 touchscreen, AM/FM/HD Radio, aux port, USB media port, 4 USB charging ports, advanced voice recognition, hands-free phone capability and music streaming via Bluetooth wireless technology, Scout GPS link compatible w/up to 3-year trial, Siri eyes free, Apple CarPlay compatible, SiriusXM w/3-month all access trial, Toyota connected services - Safety Connect w/3-year trial, Service Connect w/3-year trial, Remote Connect w/6-month trial, Wi-Fi Connect powered by Verizon w/up to 2GB within 6-month trial, See toyota.com/entune for details, Radio w/Seek-Scan, Clock, Speed Compensated Volume Control, Steering Wheel Controls, Voice Activation and Radio Data System, Proximity Key For Doors And Push Button Start, Power Rear Windows and Fixed 3rd Row Windows. 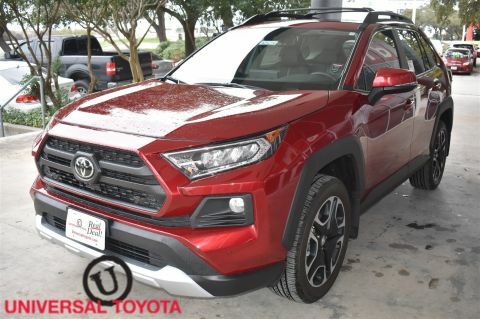 * Visit Us Today *A short visit to Red McCombs Universal Toyota located at 12102 IH 35 North, San Antonio, TX 78233 can get you a tried-and-true RAV4 today!